Upper body – Even with strong footholds, upper body strength is necessary. There will be times when it is not possible to rely simple on balance, the upper body will need to do its fair share of work. Securing a safety line sounds easy, but when it is windy, wet, hot, or any other less than desirable conditions, it takes skill and the ability to maneuver. To build upper body strength start a routine of push ups, bench presses, pull ups, and shoulder presses. Lower body – There is a seemingly endless amount of climbing and descending done in the tower climbing career field. There is a fine line between over working and under working your muscles, especially those in the legs. The legs need to be toned and prepared, a sweat should at least be broken, and this can be done with or without weights. Lunges, squats, and step ups should be the main focus of any leg routine since they focus on joint movements. Back – The first day on the job will be a reminder of all of those muscles in the back that never get moved. There is stretching, reaching, and bending that usually only occur in a full fitness routine. To prepare the back, knee-to-chest exercises can be done. This is where, from a flat lying position the knees are brought to the chest. Another one that tends to be beneficial is to sit in a chair, cross the legs and turn the upper body to the left and right in turn. 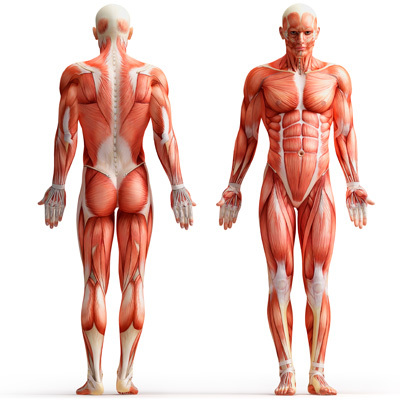 The back muscles don’t need to look like a body builder, but stretching prevent pulls, sprains, and tears which will ultimately cause more pain. Balance – It should go without saying that balance is important. When climbing great distances in the air, balance becomes paramount to success. With as important as it is, increasing balance is frequently over looked. When the wing starts blowing, balance can be every bit as important as strong muscles. To increase balance, it is as simple as standing on one foot, then rocking to the other foot. Hold each position for 30 seconds before switching. When the point is reached where each side can be comfortable held, add a weight to the opposing side. With the left foot up, the weight should be in the right hand. Lungs – Focusing on breathing is often ignored, but in a situation where the adrenaline is pumping controlling the breath can keep someone calm. This is one of the easiest to increase, breath in for a count of five, hold for three, exhale for five. Doing this repeatedly teaches a person how to calm themselves in dangerous situations. These exercises don’t need to be just for newcomers, implementing these as a part of a regular routine can keep the muscles working properly. They can also prevent injury and improve long term strength. As the routine progresses these exercises can be done longer, with more weight, and more frequently.